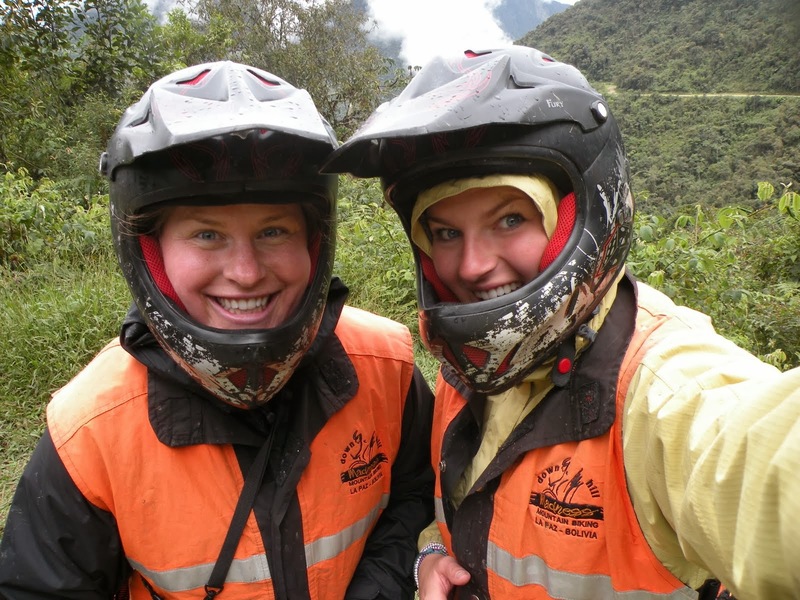 On my birthday Laura and I mountain biked down Death Road, known as the world´s most dangerous road. It is a road that is very skinny and use to be the only road connecting La Paz to other towns. There were a number of deaths every year by trucks driving off the edge. Now a new road has been built and Death Road has become a must for tourists in La Paz. I almost did not go because I was terrified of riding off the edge. I actually had nightmares the night before, but at the end of the day I just couldn't miss out, FOMO. Turns out it wasn't as bad as I had expected and before I knew it I was cruising down the road. The scariest part was when you had to break going around a corner, hoping you did not slide off the cliff. It was a great way to spend a birthday and a very memorable one! That night the whole bar at Loki sang me Happy Birthday. The day after Thanksgiving Laura and I went to the front door of San Pedro Prison. We had both just finished reading Marching Powder so we had to go see the prison for ourselves. 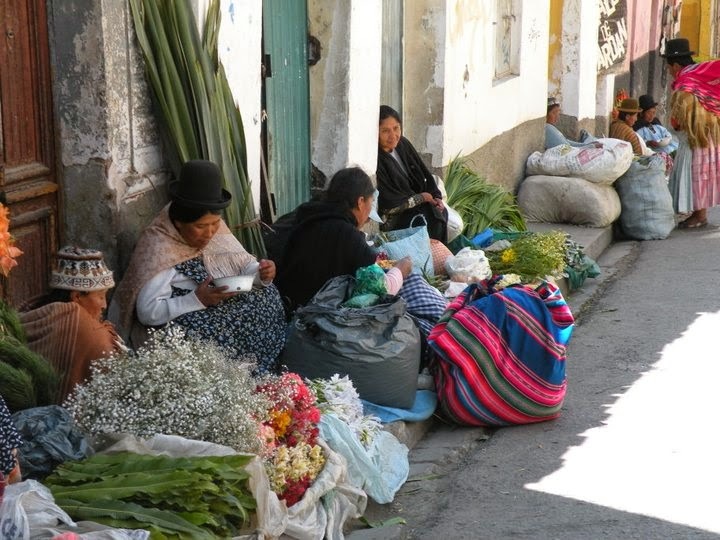 San Pedro is located right in the middle of La Paz. It is a prison for mostly drug traffickers. Each prisoner has to buy their own cell and because of this it is common for the entire family to live in one cell. This keeps the family together and is the only affordable way for most prisoners. 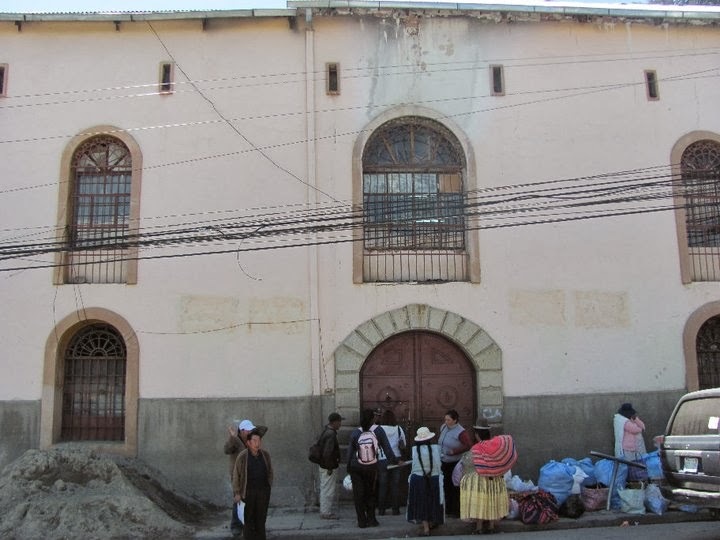 So there are wives and children within the prison as well and they are able to leave whenever they please, for example, to go to school or to the market to buy produce. The cells can range from small apartments to cement holes depending on your wealth. Inside the prison there are restaurants, pharmacies, stores... everything one could need. The prisoners who have apartments have kitchens and cook their own meals. In the basements of the prison there is a laboratory for making cocaine. The purest cocaine comes from within San Pedro. Anything goes with in the prison as the police never come inside. This is also another La Paz tourist attraction- the prisoners give tours of the prison for a high price.